AccuRelief Wireless Remote Control TENS Pain Relief System, manufactured by Carex, is a wireless TENS Unit (Transcutaneous Electrical Nerve Stimulation) that provides Electrical Stimulation Therapy to targeted areas via two gel pads. 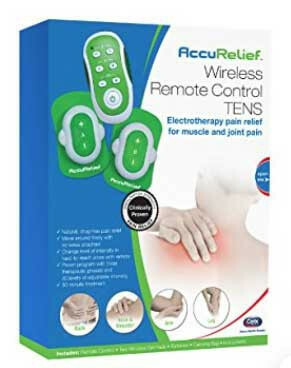 The AccuRelief Remote Control TENS Pain Relief System gel pads allow you to place and move around the electrode pads without cumbersome wires to deal with. 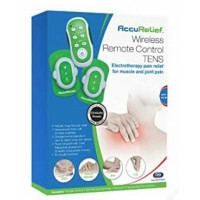 Make sure you get the best use of your electrode therapy. 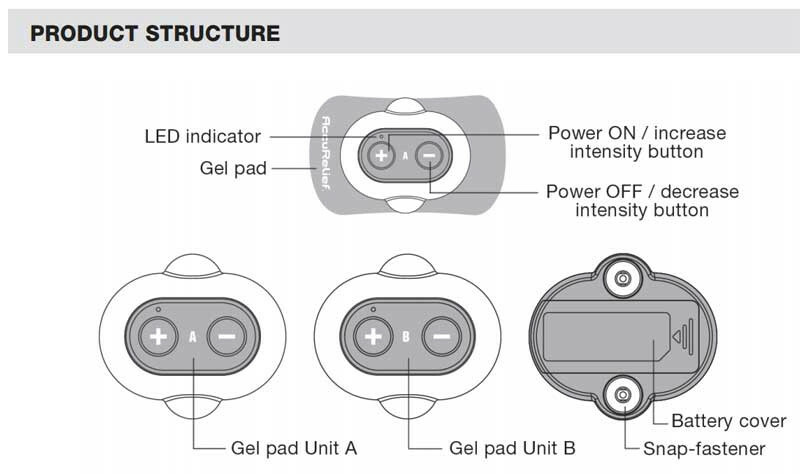 The electrode pads have a life of up to 30 times before you should replace them with new pads. 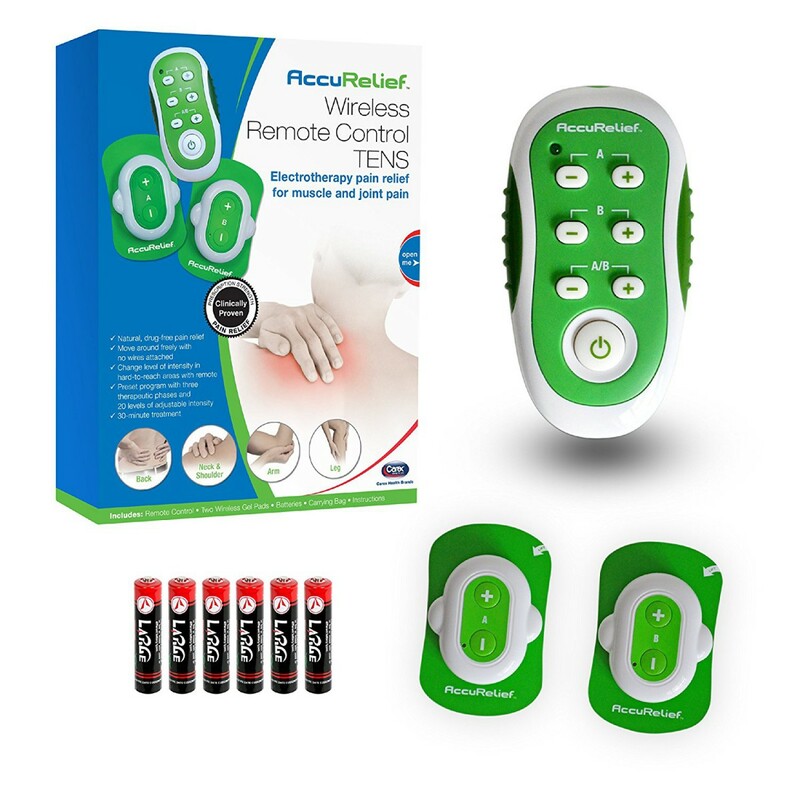 This will help ensure you are always getting the most out of your TENS Pain Relief System, as dead skin cells, dust, and loss of adhesive will occur. 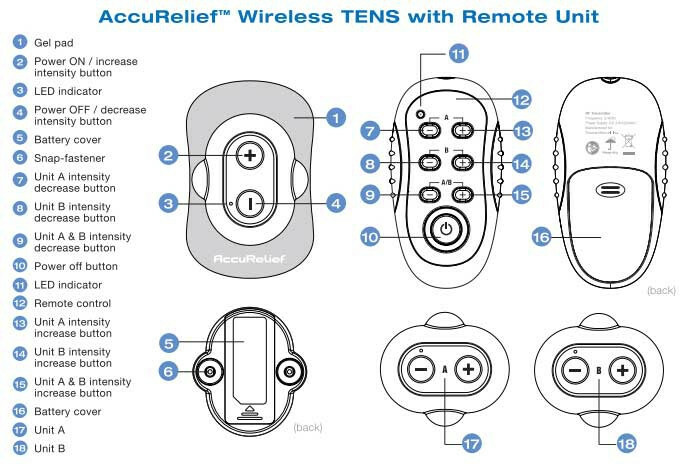 Purchase your AccuRelief Wireless Supply Kit replacement pads. 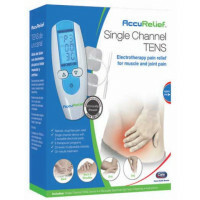 Choose between three preprogrammed phases of alternating therapy for effective pain relief. 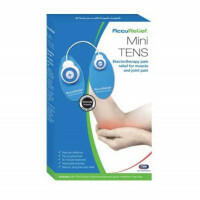 Adjust treatment intensity between 20 levels of stimulation to maximize therapeutic benefits. 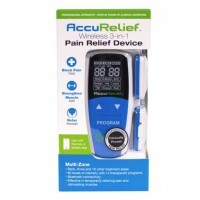 AccuRelief is FDA approved and available without prescription. 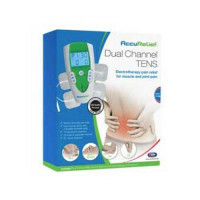 This TENS unit is safe, effective and convenient for Pain Management. 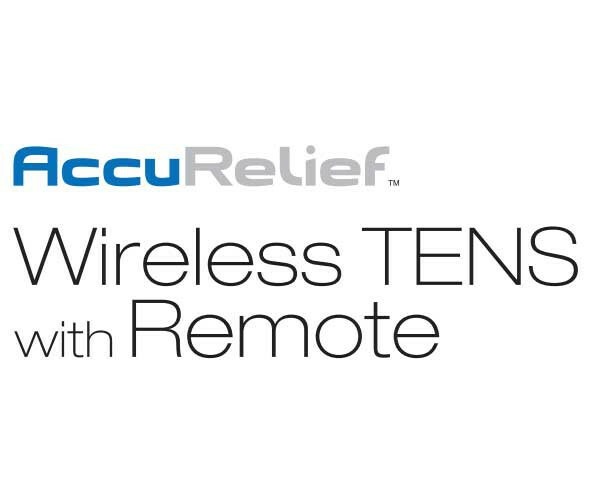 Carex manufactures several AccuRelief products for your consideration, including the Mini TENS, Wireless TENS, Single Channel TENS and Dual Channel TENS. 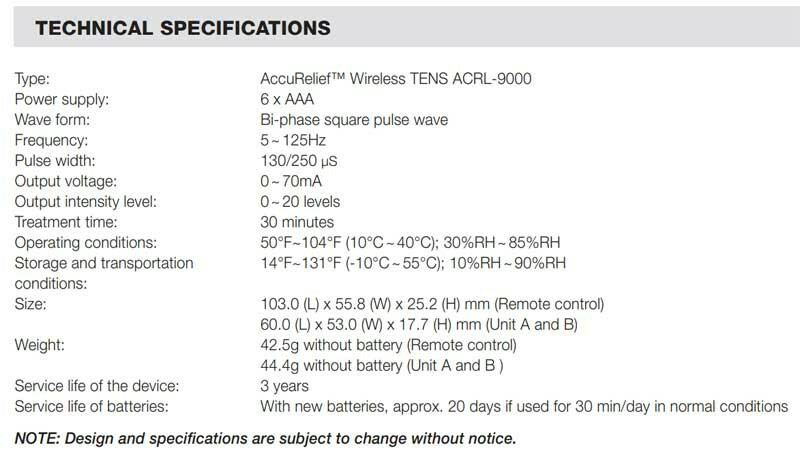 Wave form: Bi-phase square pulse wave. Output Intensity Level: 0~20 levels Treatment time: 30 minutes. 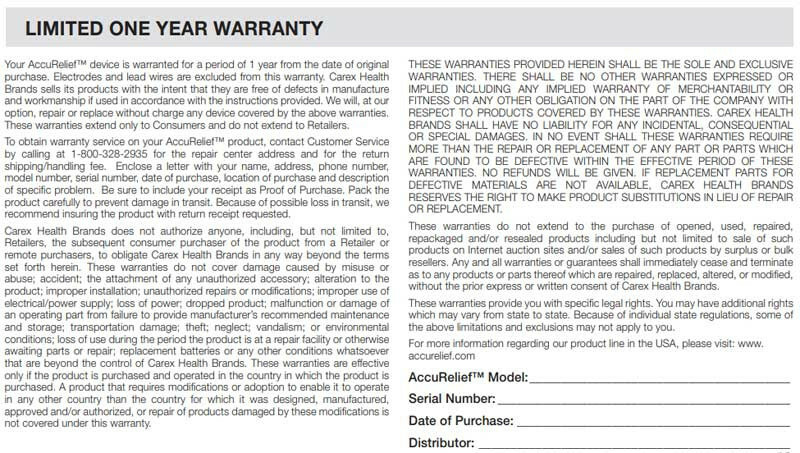 Manufacturer's Warranty: Limited 1 Year. 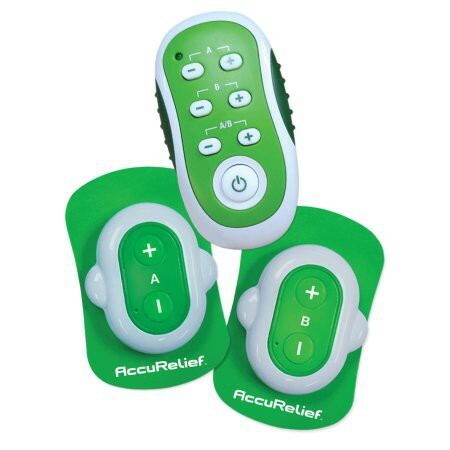 Quick Start Guide offers instructions to setup and use this pain relief device. 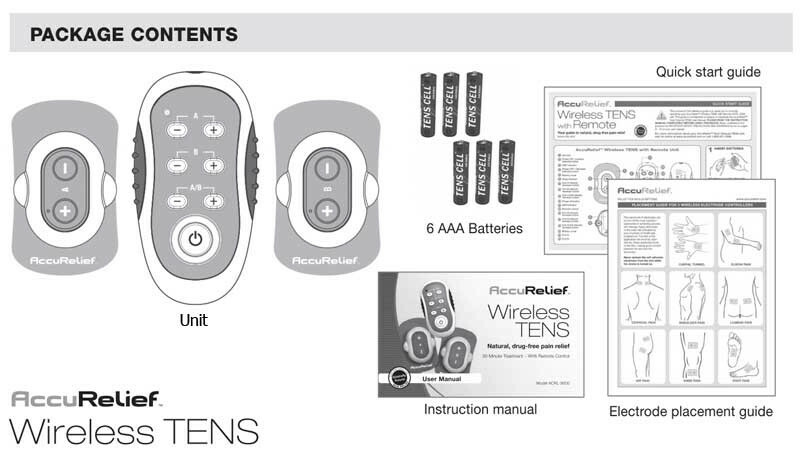 User Manual contains information about the safe use and care of this wireless TENS device. 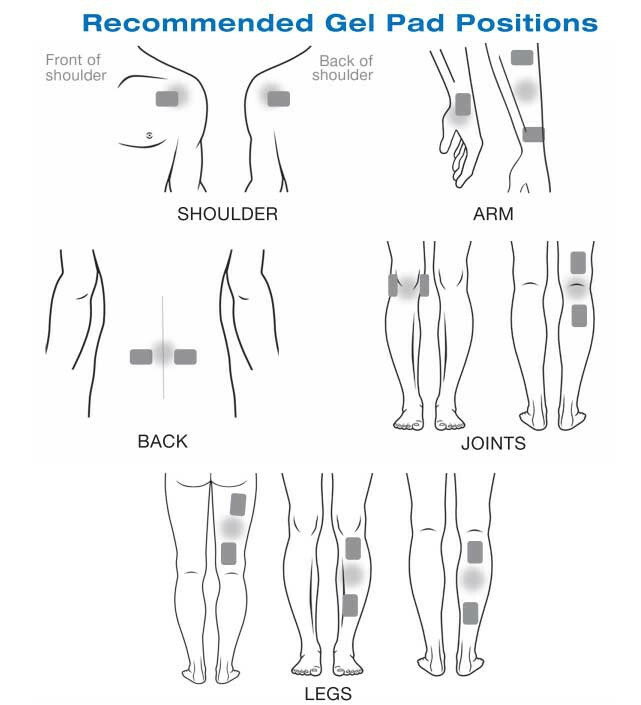 Application Guide for 2 Electrodes for the placing the electrodes on the body. 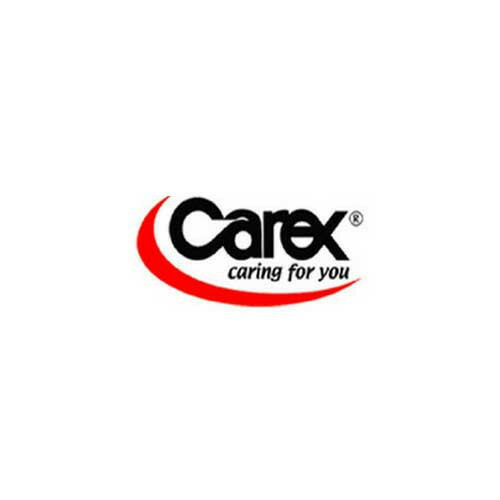 Best little pads I've ever used on my neck and back. I can put them right on the needed spot(s)!!! 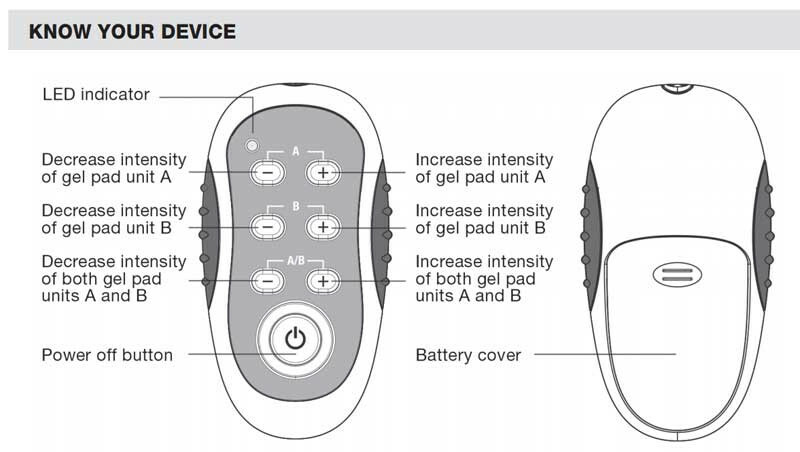 Wish the replacement pads weren't so expensive. I use a bandana to hold them on my neck and belt for my back after the stickem is gone...... and other spots as needed!! !